Heart shaped announcement magnet gets easily noticed due to its adorable shape. Heart shape is associated with romance and love, and people will definitely remember the information imprinted against this surface. 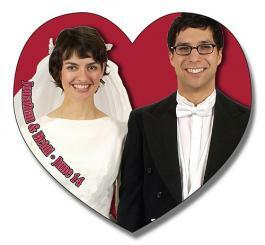 This means that big heart shaped announcement magnet makes a wonderful choice for announcing that you are going to get hitched soon. Also, you may get it easily customized against a payment as low $0.14 and as high as $0.59.